Unmanned Aircraft Systems (UAS) have been widely applied into military reconnaissance and surveillance by exploiting the information collected from the digital imaging payload. However, the data analysis of UAS videos is frequently limited by motion blur; the frame-to-frame movement induced by aircraft roll, wind gusts, and less than ideal atmospheric conditions; and the noise inherent within the image sensors. Therefore, the super-resolution mosaicking on low-resolution UAS surveillance video frames, becomes an important task for UAS video processing and is a pre-step for further effective image understanding. Here we develop a novel super-resolution framework which does not require the construction of sparse matrices. This method applied image operators in spatial domain and adopted an iterated back-projection method to conduct super-resolution mosaics from UAS surveillance video frames. The Steepest Descent method, Conjugate Gradient method and Levenberg Marquardt algorithm are used to numerically solve the nonlinear optimization problem in the modeling of super-resolution mosaic. A quantity comparison in computation time and visual performance of the super-resolution using the three numerical methods is performed. The Levenberg Marquardt algorithm provides a numerical solution to the least squares curve fitting, which avoids the time-consuming computation of the inverse of the pseudo Hessian matrix in regular singular value decomposition (SVD). The Levenberg Marquardt method, interpolating between the Gauss-Newton algorithm (GNA) and the method of gradient descent, is efficient, robust, and easy to implement. The results obtained in our simulations shows a great improvement of the resolution of the low resolution mosaic of up to 47.54 dB for synthetic images, and a considerable visual improvement in sharpness and visual details for real UAS surveillance frames. The convergence is generally reached in no more than ten iterations. A. Camargo, Q. He, and K. Palaniappan. 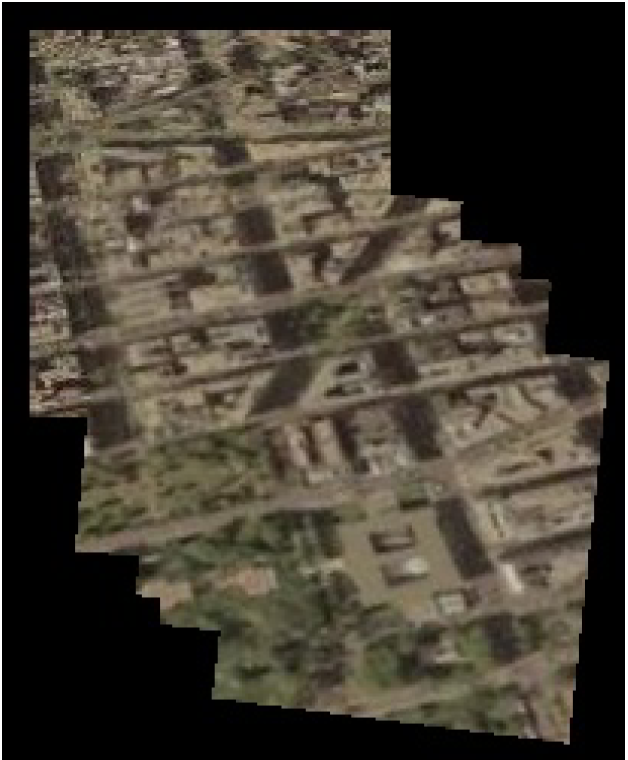 Performance evaluation of optimization methods for super-resolution mosaicking on UAS surveillance videos. Proc. SPIE Infrared Imaging Systems: Design, Analysis, Modeling and Testing XXIII, volume 8355, 2012.